You have probably heard television and file detectives read someone their Miranda rights, or maybe ever heard them yourself if you were recently arrested. The language starts with “you have the right to remain silent,” and goes on to tell you about how your statements can be used against you. The reason law enforcement officers are required to read this clause is because of the 5th Amendment to the US Constitution, which protects you against unlawful searches and seizures; Florida law provides similar protections. While your rights against unlawful police actions may seem clear, they are very murky in an actual real-life scenario. The reason is that your civil liberties are not triggered any time you interact with an officer; it is only under certain circumstances that you can claim a violation. 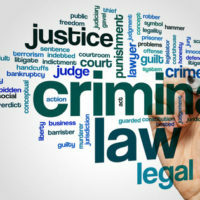 A criminal defense attorney can help you understand this very complicated area of law, but it may help to review information on three types of encounters with police. With this type of police stop, there is limited interaction beyond casual conversation and questioning. Officers do not need probable cause to have a discussion, but they also cannot detain you and force you to answer questions. An example of a consensual encounter would be police asking to see your ID and inquiring where you are heading. They can make the request, but they cannot convey the message that compliance is required. At that point, the interaction could be considered detainment and it moves the encounter to the next level. An investigative stop occurs when police detain you temporarily to investigate your involvement in criminal activity, whether for a crime that may have just happened or is about to happen. To detain you for a pre-arrest investigation, officers must have a well-founded, reasonable suspicion that goes beyond a mere hunch. The totality of the circumstances is critical in determining whether police have proper grounds to stop you for this type of encounter. A full arrest occurs when law enforcement stops you and detains you physically, or in the absence of physical contact, where an officer asserts authority that motivates you to surrender. With an arrest, there must be probable cause to believe that you had committed or were about to commit a crime. The perspective of the actual officer is not relevant; the key factor is whether a person who had the same information available would reasonably believe the presence of criminal activity. Unlike the other two types of encounters, an arrest triggers Miranda warnings. Among the most important phrases are that any statements you make can be held against you in court, and that you are entitled to have an attorney to represent you. If you have questions about a recent arrest or believe that your civil rights were violated in an encounter with police, please contact the Fort Lauderdale office of criminal defense attorney Kevin J. Kulik. Our legal team can set up a free consultation to discuss your circumstances.